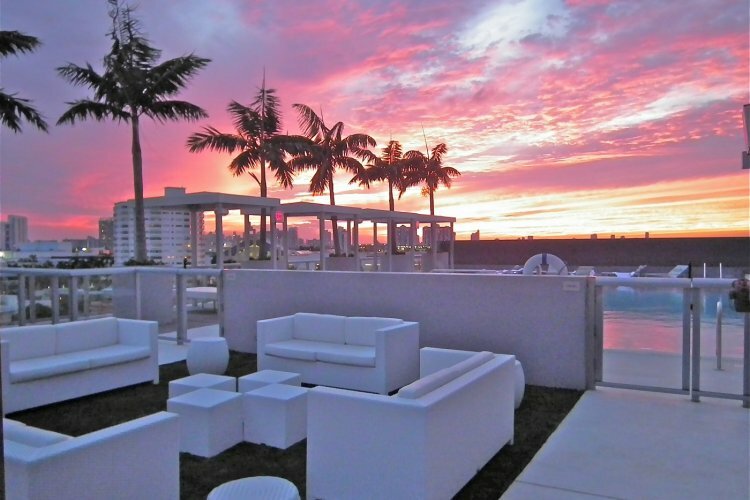 Miami is world renowned for having a-list celebrity's flock to its famous beaches, and a stay at Boulan South Beach hotel puts you right in the heart of Miami's cultural centre. Boulan South Beach offers luxurious apartments with kitchens, flat screen TV's and plenty of luxury. The white sands of Miami Beach is only a few minutes away, and the famous shopping district of Lincoln Road just a mile away. The hotel also has a cocktail bar on the roof top, and soon you'll be sipping drinks checking out the amazing views. The pool itself is one of the main highlights of this fantastic hotel and sits ideally placed, with the Miami skyline in the background. The hotel has its own state of the art fitness centre and spa. If you want to get pampered with massages, manicures and pedicures then the hotel can offer all these services. If you want a break from the stunning sunshine then why not visit award winning Bass Museum of Art. The collection spans Renaissance to a more modern collection. For the nature lovers you can head to the Botanical gardens featuring many tropical plants, and a wide variety of birds. Boulan South Beach hotel is a great choice for people wanting to explore Miami and staying in luxury surroundings. For information on Miami and it's amazing hotels then fill out our enquiry form. "It didn't rain at all during the day for the whole two weeks of our stay. The temperature was in the mid to high sixties on most days with a couple of days in the low seventies. It was very cool in the evenings and we were told that the day time temperature was about 10 degrees below normal. It was still very pleasant." "Really good for February. A few cooler, dry days and only one day in 2 weeks of significant rain." "Hot and sunny for most of the time"
"Reasonable but it was their winter - temperatures in mid 25c and sunny intervals." "Beautiful with just a little cloud for cover warm evenings - ideal for eating outside"
"Hot and sunny - average about 28'. Only one day with evening rain"
"Good Westher not too humid"
"Weather was great . A few evening we had rain but it tended to be late on and through the night . Apart from that the weather was glorious"
"Fairly good, couple of bad days." "Great! Hot, high 20C's into 30C"
"Hot balmy 30 degrees, rain on last day and very humid." "Very hot again, some clouds, alot of rain on one out of three days." "very hot but time of holiday some rain short spells"
"Very hot, sunshine, minimal rain"
"Beutiful :-) Orlando had the occassional heavy downpour mid afternoon but we took our ponchos to the theme parks and it wasn't a problem. Naples and Miami were hot and sunny." "Lovely and sunny with the occasional thunder storm. Aveage of about 30C." "Overcast first 2 days really hot after"
"Hot and sunny. Rain shower every morning." "Very hot -with some thunder storms mostly late in the day." "Hot, some sun, some rain"
"As you would expect for the time of year"
"Very good. Hot until 2.30pm each day when the weather broke but then as you probably know it 's shortlived and clears quickly." "mixed with some heavy rain at the start of the holiday"
"Unfortunately due to holidaying in August school hols, it was either to hot or to wet, ugh!" "very hot with a thunderstorm every day, very humit"
"not good rain every day but hot"
"Hot ,humid, a few storms"
"Good , sunny most of the time." "beautiful all day ! thunder storms every evening. Spectacular lightening shows"
"Hot and humid and occasional thunder storms of an evening during 2nd week"
"Hot Humid with occasional thunderstorms"
"Hot but rainy - which was not a problem." "Humid with sun most of the time. Periodic rain showers that cleared very quickly." "Weather was great and only had one day where we were affected by a storm but were perfectly happy chilling in our amazing apartment." "Fantastic weather, mostly dry, hot"
"Great, Canada warm and New York. Hawaii very hot and Florida warm"
"The odd short shower, but lots of sun, and not too hot. Was great!" "Very hot and humid. Sunny every day"
"Amazing, sunny all the time. between 84 and 100 degrees. 1 day of non stop rain." "Poor windy and wet. We were unable to go to the beach." "Amazing, sunny all the time. between 84 and 100 degrees." "Ideal - 85 degrees during the day and only dropping to 80 at nite - a joy." "Some cloud and rain around 25 degrees." Basic hotel in New York would not use again We had an amazing holiday and your staff worked hard to get us luxury on a budget thanks.